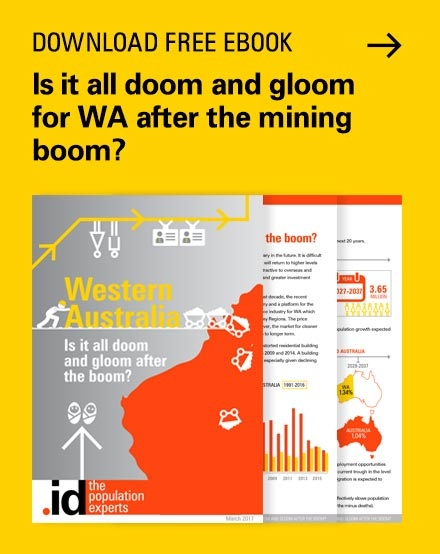 For the most up-to-date view of your local economy, Australian economic profiles are now updated with the latest economic data from NIEIR for 2015/16. 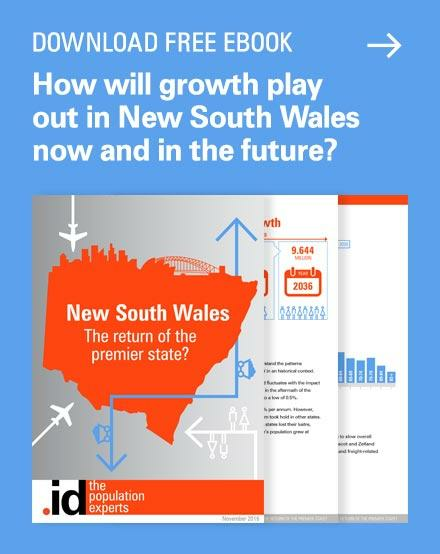 Economic indicators are also updated with the new data so you can see how your local economy compares to other Local Government Areas across Australia. Read more about the economic trends the data reveals. How growth in a larger benchmark region may have influenced the change? How benchmark growth in that specific industry may have influenced the local industry? 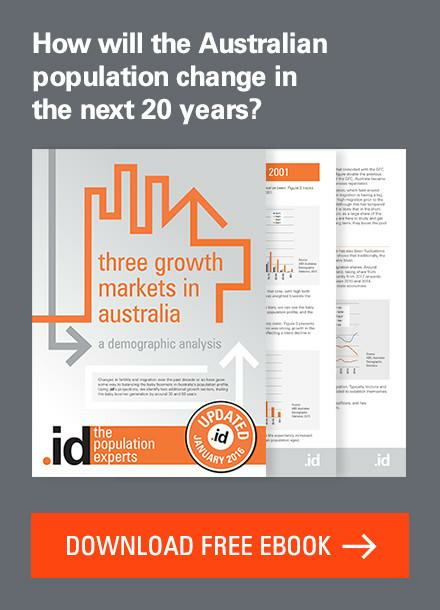 How much local factors may have influenced the industry to grow above/below benchmark trends? Read more about using the Shift-share analysis tool here. 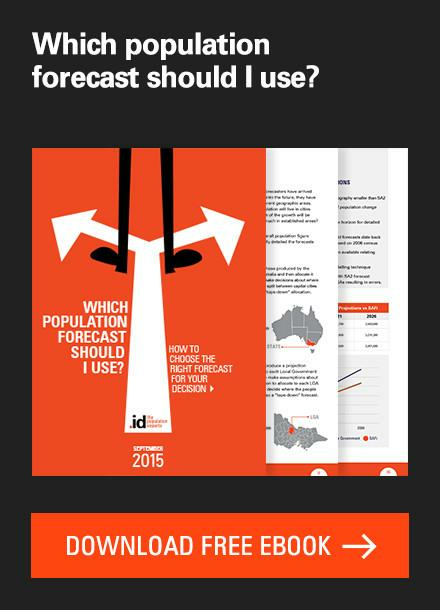 We’ve done some work to make economy.id easier for you to navigate and use. The left-hand side menu topics have been re-grouped into a more user-friendly structure designed to help you find information faster. We’ve also renamed some of the menu options with simpler terminology for you. Read more about the updates to our economic profiles here. New ‘Business location’ data from the ABR has been updated for clients with this feature enabled in economy.id. The information allows users to see spatial patterns of businesses registered on the Australian Business Register within a local government area. Data is now current as at 5th February 2017, which provides highly up-to-date information for planning. Information can be located in your Economic profile by selecting the ‘Business locations’ option on the Spatial economy menu. Councils interested in adding this feature to economy.id can contact your .id Client Manager for more information. 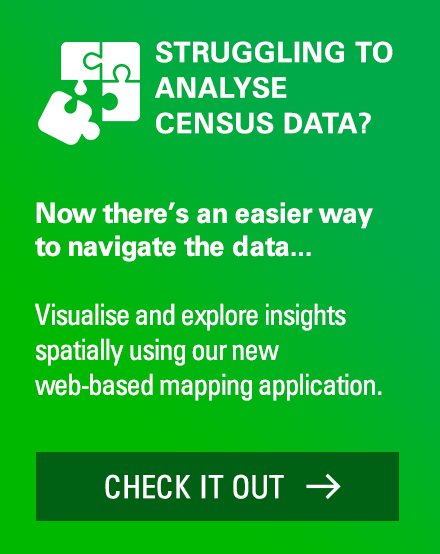 With 2016 Australian Census data due for release into profile.id (from July 2017), we’ve made some adjustments to make it easier to navigate all the available datasets. Many topics are set to include Enumerated data for up to 6 Censuses (back to 1991) and Usual residence data back to 2001, so we’ve added both types of datasets under the ‘comparison year’ drop down menu to make it easier to find all the available datasets and years. Usual residence data will remain the default option, as this is the most widely used dataset. For help remembering the difference between Usual residence and Enumerated data, you can now click the question mark symbol next to each dataset for a full explanation and some comparisons to help you select the right dataset to use. In preparation for the 2017 rollout of Census data, .id’s community of over 600 local government area websites has been refreshed to help us deliver information faster than ever and make navigation easier for users. The updates provide structure to the network of sites to help make navigation more intuitive for all users. 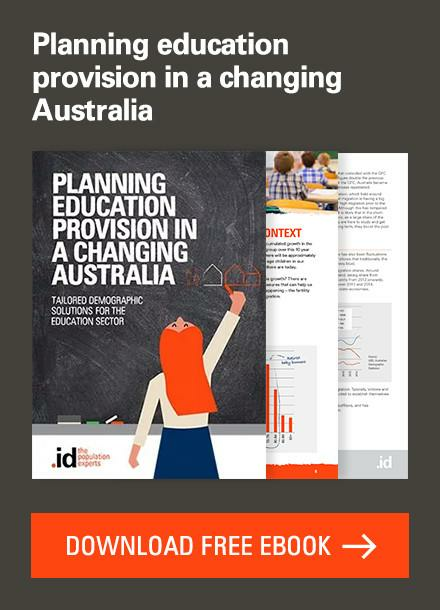 The .id community of online resources provides demographic and economic information for over 250 local government areas across Australia and New Zealand. Funded by local governments, the websites are made publically available as a resource to enhance community planning and decision making. Read more about the updates here. You can now find detailed information on household expenditure within economy.id. Select ‘Local market’ from the menu to see the Household expenditure information for each local government area. Key categories of household expenditure can be benchmarked against regional, state, and national information for comparison. The change in household expenditure from 2009/10 to 2014/15 is also available in a chart for easy analysis of change over time. We’ve made atlas.id maps easier to view on mobile phones and tablets. You can now easily tap your way through the range of maps available in the social atlas tool on your mobile device. You can now see population highlights at a small area level, to view key demographic characteristics at suburb level for most local government areas. 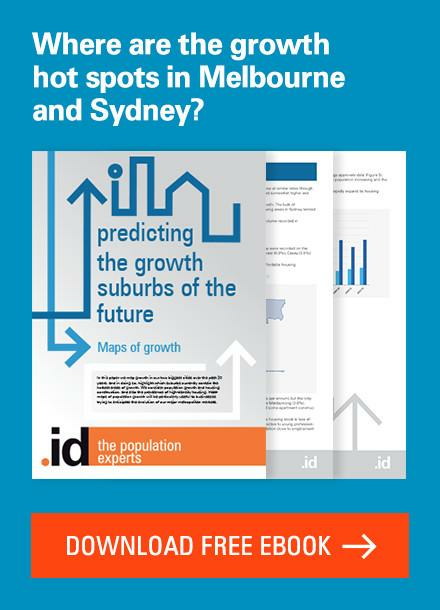 Using this feature, suburbs can to be benchmarked for comparison to their greater capital city, state and Australia. Highlights can be easily exported as a .pdf file to use as a snapshot of the area’s population. A new Population summary page is now available through the Population menu in profile.id, showing the current Estimated Resident Population (ERP) for the small areas (suburbs, towns, and districts) within each council. ERP is the most up-to-date population figure, which adjusts for Census undercount as well as people overseas on Census night (the latest figure is currently June 2015). The Population summary page features 2011 Census-based ERP, and Census counts of Usual Residence and Enumeration all in the same table for easy comparison. Census-based sub-population groupings have been refined (eg. Citizens, Employed etc). The Post-Census Population estimates page has moved into the Population menu, and now includes a drop-down selector for small areas. You can now easily search for a place or a topic within all .id Community websites. Find geographic areas within an LGA boundary, as well as places outside the LGA area. Users can enter their details to access other council areas outside of the LGA boundary they are currently using. The topic search helps users to find topics within an area without going through the main menus. 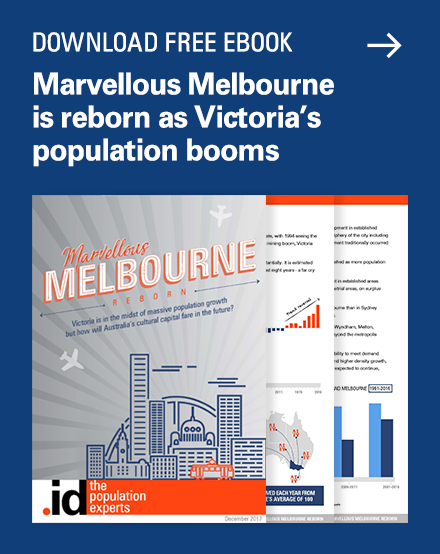 The search functionality has now been extended to all .id Community sites so you can find what you are looking for within .id’s community population profiles, economic profiles, social atlases, and population forecasts. Happy searching! Search functionality has been included on .id’s blog and website to help you find what you are looking for. Click the search icon at the end of the main menus to activate and use the new search feature. To help you locate information in profile.id more easily, we have implemented a new search functionality. You can find the search bar at the top of the page. The search function is still in its beta form – we hope to introduce it to all our product sites in the coming weeks. So let us know if you have any feedback about this new function. A feedback button is available on all .id Community sites, and the .id website and blog to give our users the opportunity to send us feedback. The feedback button is located on the top right-hand side of the page, so let us know if you have any issues or ideas to help us make your experience better. Jo is a writer and translator for .id, helping convert the team's technical brilliance into relatable, easy to understand stories online. Jo specialises in digital marketing to feed her inner nerd and comes to .id with over 15 years marketing experience working in various industries in Brisbane, Perth and Melbourne. In an effort to break down glamorous marketing stereotypes, Jo's career has focused on marketing for building products, car suspension, the railways, and waste management. With a keen interest in using social marketing for community change, Jo recently managed a sustainability project that created a program to help low income earners save money on their electricity bills, using fun app games as part of a gamified program for positive behaviour change. Previous story Should I use enumerated data, usual residence data or estimated resident population?